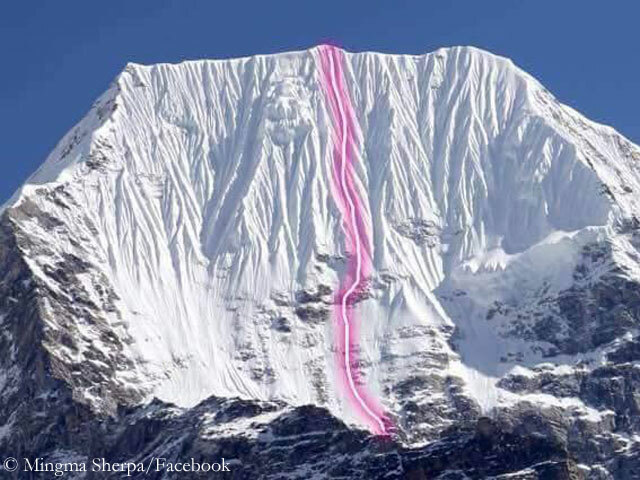 Mingma Gyalje Sherpa grew up in Rolwaling. 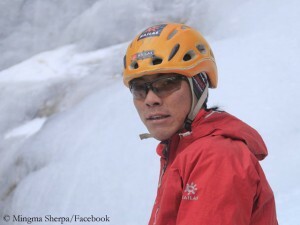 He is the head of the Kathmandu-based expedition operator Dreamer’s Destination and one of the strongest climbers in Nepal. The list of his mountain achievements is long. He stood on top of Mount Everest four times, twice each from the Tibetan north (in 2007 and 2010) and the Nepalese south side (in 2011 and 2012). Mingma has climbed six other eight-thousanders so far: Manaslu (three times), Lhotse, Cho Oyu, Kangchenjunga, K2 and Annapurna. 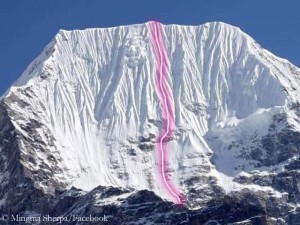 In addition he opened new challenging routes on the six-thousanders Cheki-Go and Bamongo. 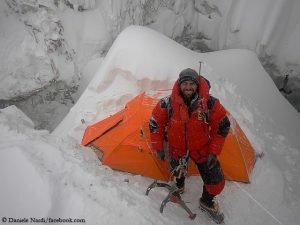 Even before he set off, the 29-year-old called his solo climb on Chobutse “the most important for my entire life”. Never before a Nepalese climber had done a solo ascent, Mingma wrote: “Sherpa are well known for their hard job in the Himalayas. The trend is changing. 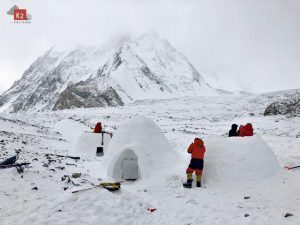 There are many young Nepalese climbers who have been doing so many climbing for themselves.” Recently, Swiss top climber Ueli Steck also enthused about the strong young Sherpa climbers: “It’s nice to see how a ‘new’ generation of Sherpas is growing up, who are really interested in climbing and not just in business. I think that’s awesome!” I think so too. P.S. 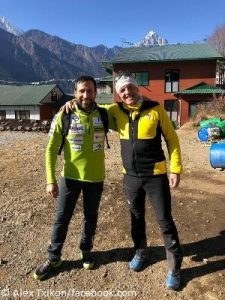 : Ueli Steck has meanwhile returned from Nepal to Switzerland – after a failed attempt on the South Face of Nuptse. “Winds were too strong. There was a lot of drifting snow at 7,000 meters. It was hopeless”, Ueli writes to me.